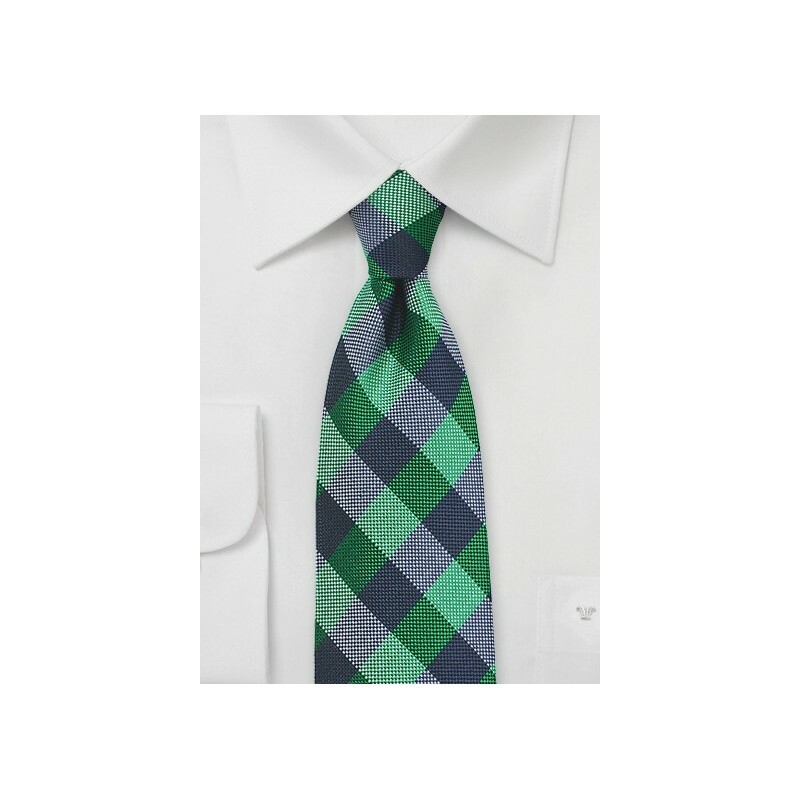 This bold gingham check design is part of Parsley's new summer collection. Available in two bold color combinations, this collection is perfect for all you blue and gray summer suits. 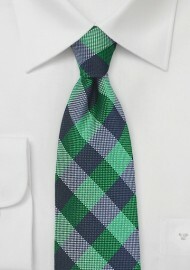 To match this kelly green and navy blue tie we suggest a blue suit, striped shirt, and light brown dress shoes. Made from 100% woven silk by Parsley.